Serious Sam developers Croteam have told Eurogamer that in many ways, the third game in the series will stay true to the series' roots. Well, except for the series' trademark "cartoon" graphics. Those have got to go. Croteam's Roman Ribaric has told Eurogamer "I believe Serious Sam fans would want to hear the following two things. 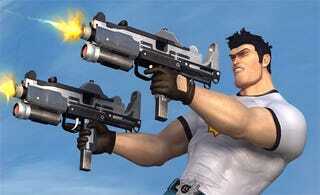 First, Serious Sam 3 will play like the original Serious Sam. And second, we'll leave the cartoony look behind". And that's that! Don't be sad, Serious Sam fans. Everybody has to grow up sometime.